The 2008 election and subsequent policy changes have awoken the silent majority in ways no one could have predicted. Last year the rise of independent grassroot Tea Parties across the country brought people together – Democrats, Republicans, Independents – in a united front against the unprecedented overreaching intrusion of the federal government. Conservatives, disgusted with the moderate-left shift taking place within the Republican party, have been grumbling about forming a third party. However, most realize this would only split our vote and dilute our true needs. Texas State Senator Dan Patrick has had enough of the talk and wants to see action shoring up the Republican party and strengthening the GOP commitment to their founding Conservative Principles. Patrick, owner of a Houston-based radio station KSEV (KVCE in Dallas), was elected to Texas Senate District 7 in 2006 with an overwhelming 69% majority and consistently practices the Conservative values he preaches. For the past ten years he and his talk show hosts have educated and encouraged listeners to become more involved in our state and national political process, from voting to volunteering, to make their voices heard. The station slogan “Radio-Active” serves as a motivational wake-up call. This week Patrick launched a new organization inviting elected Texas Republicans to be accountable first and foremost to the PEOPLE, not the Party. Too often it appears that our elected officials follow the party line, ignoring the wishes of the voters they represent. 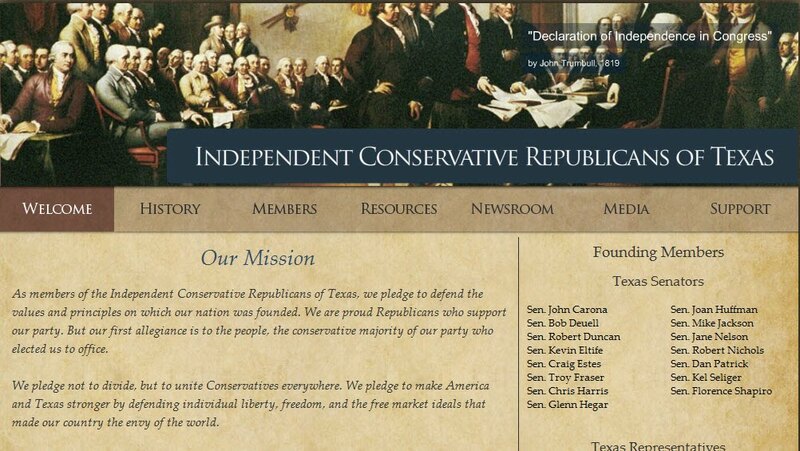 Elected officials who desire to sign on with Independent Conservative Republicans of Texas must agree to uphold five core principles. We give our word to stand for conservative principles and to put people before party. We give our word to be fiscally accountable, limit the size of government, and fight for free market principles. We give our word to protect our borders and to support a strong military. We give our word to protect life, support strong family values, and uphold the Judeo-Christian beliefs our nation was founded upon. We give our word to defend the Constitution and protect the sovereign rights of Texas. 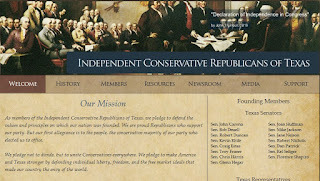 Taking a public stand for Independent Conservative Republicans of Texas are 15 Texas Senators, 52 Texas Representatives, and 9 primary winners facing Democrats in the November election. Sen. Patrick is currently speaking on the national talk-show circuit promoting ICRepublicans.com He spoke to Laura Ingraham on Monday and will appear this weekend on Huckabee. Though the organization started here in Texas, Patrick hopes to ignite groups in other states to embrace the five core ICRepublican goals. He envisons this movement will spreads across the country. If you believe in these core conservative principles, please contact your Republican state Senator or Congressman and let him/her know of your desire to see a group started in your own state.